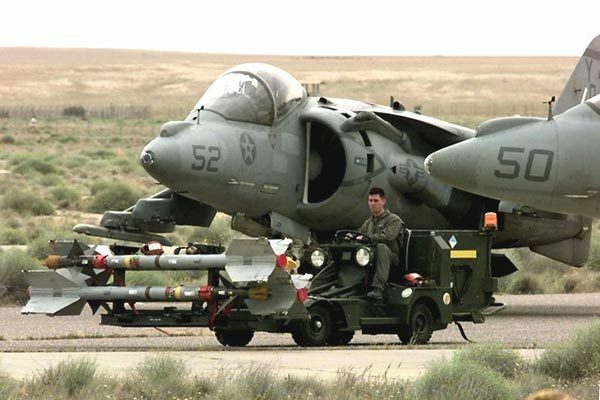 PARIS --- The rationale for the F-35B fighter took a serious beating last week, when a dozen Taliban attacking Camp Bastion destroyed six US Marine Corps AV-8B Harriers on the tarmac, and seriously damaged two more. The F-35B – the most complex, overweight and expensive variant of the Joint Strike Fighter – is being developed to provide the US Marine Corps with a successor to the Harrier in the ground attack and fire support role. Marine doctrine envisages the F-35B initially operating from large-deck amphibious ships, and then moving to operating bases ashore once a beachhead has been secured to provide close air support. But if perimeter defenses at Camp Bastion, one of the world’s most heavily protected bases, can be breached by a dozen people on foot, how will the F-35B survive in “austere and remote expeditionary and-based environments” when attacked by a conventional enemy with heavy weapons? The answer, as now demonstrated by the Taliban, is that it cannot. So half of the F-35B’s raison d’être – its capability to deploy ashore along with the troops - has been literally blown away. It should now be clear to all – as it famously was to former US Defense Secretary Robert Gates – that there is no justification for buying large numbers of STOVL attack aircraft. As Gates noted at the time, the Marines have not stormed a beach since [the Korean War], so it makes little sense to buy the F-35B on the off chance they might have to, sometime in future. There many reasons why the era of STOVL has passed: the much-improved firepower of modern helicopters; the wide availability of very smart weapons fired at very long stand-off ranges; the wide availability and high accuracy of armed UAVs; and the microscopically low probability of Marines having to land without being supported by US Navy tactical aircraft. The savings from axing the F-35B would be very considerable, and troops ashore would still be supported – but by the Marines’ large fleet of armed helicopters, including Cobra gunships and armed Hueys, as well as by US Navy fighters. 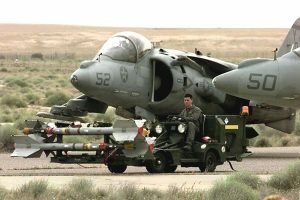 In a logical world, the Taliban attack at Camp Bastion would have sounded the knell for basing STOVL aircraft ashore for close air support. In a logical world, the Pentagon would see this, cancel the F-35B and redeploy its funds and engineering talent to speed up development of the two other versions, the F-35A for the air force and F-35C for the navy. -- Mar 18, 2015: corrected error attributed to Secretary Gates: last Marine combat landing took place at Inchon, during the Korean War, and not during World War 2.